William Browning | Launceston Then! William Browning was born on September 7th 1797 at Greylake farm, Camelford to Humphrey and Margaret (nee Martin) Browning. Being the eldest of eleven children. At the age of 14 William was apprenticed with Messrs John and William Rowe, saddlers, of Camelford, for six years. At the age of 21 he moved to Launceston to work with Messrs Penwarden, who were then the leading saddlers and harness makers of the town, and both of whom had filled the office of chief magistrate in the town, and one of them on 3 or 4 occasions. 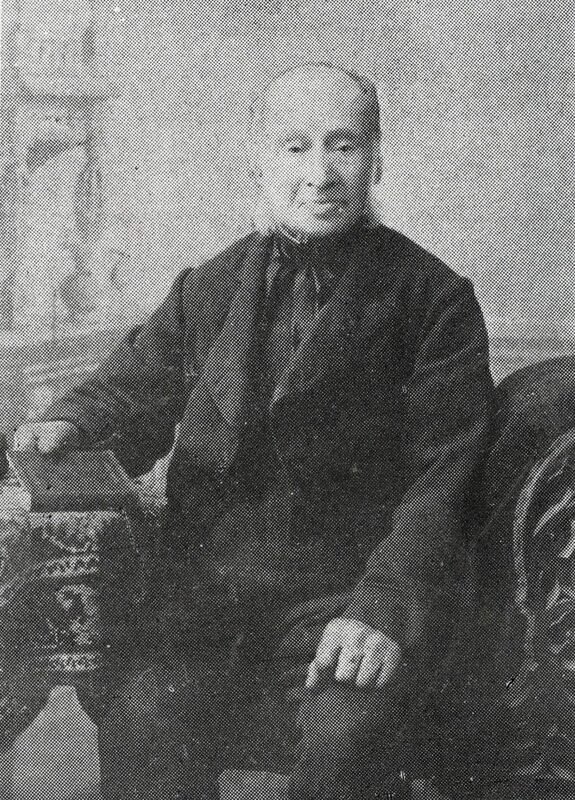 He worked with Messrs Penwarden for 30 years, and went into business on his own in 1854, working for a few years in Church Street, then combined his own business with that of Mr Deacon, in High Street, and removed there to carry it on until 1881, when his friends prevailed upon him to retire; he was then 83 years of age and as active as most men at 60. William first married Joanna Dyer, who died on 9 April 1830. 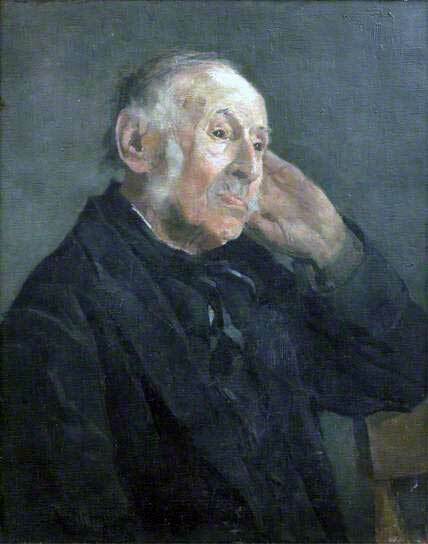 Arthur Browning was their son, born on 2 November 1825. On March 17th 1836 he married Mary Davey of Linkinhorne at Launceston and they had a daughter Anne. 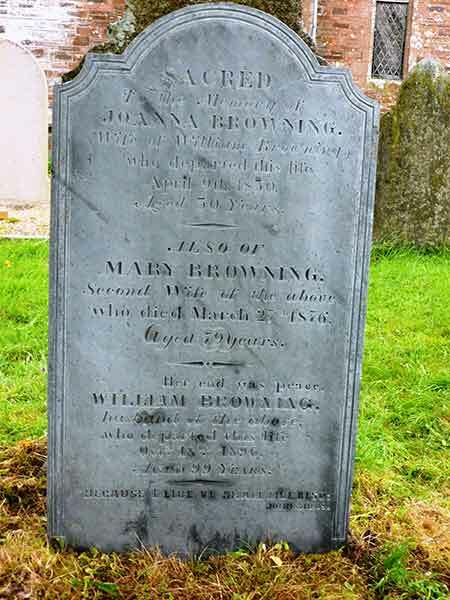 Anne married Alfred Lyne and their son, Alfred Browning Lyne later in his life moved to Bodmin where he and his family are very well remembered and respected. In about 1900 Alfred was newspaper founder-editor of the ‘Cornish Guardian’ after serving his apprenticeship with the ‘Cornish and Devon Post’ at Launceston. Alfred served with the Bodmin Town Council and was mayor on six occasions being made the first freeman of the borough in 1827. Alfred’s son, Cecil, was also mayor of Bodmin. Coming back to William, he was a staunch Wesleyan becoming a preacher of some repute. Even when ninety years of age, he would walk from Launceston to Lanhargy or Bowithick or Altarnun or Rilla Mill to preach; his last sermon was delivered at Bowithick when he was 96! After a failing health he passed away at home in High street, Launceston on October 18th 1896 in his hundredth year. He left a son and daughter, the Reverend Arthur Browning, of the Wesleyan Church, Canada, and Mrs Alfred Lyne, of Launceston. He was buried at the Congregational cemetery at the bottom of St Thomas Old Hill, Launceston; his stone carrying the names of some of his family who predeceased him. Due to the cemetery being vandalised the stone has now been transferred to the Methodist chapel at Piper’s Pool, placed beside that of his daughter and son-in-law.